The shift toward initial nonoperative management of spleen injuries began in the early 1990’s, as the resolution of early CT scans began to improve. Our understanding of the indicators of failure also improved over time, and success rates rose and splenectomy rates fell. Angiography was adopted as an adjunct to early management, especially when we figured out what contrast extravasation and pseudoaneurysms really meant (bad news, and nearly certain failure in adults). At first, it was used in a shotgun approach in most of the higher grade injuries. But we have refined it over the years, and now it is used far more selectively at most centers. A group at Indiana University was interested in looking at the impact of angio use on splenic salvage over a long time frame. They queried the National Trauma Data Bank, looking specifically at high grade splenic injury care at Level I and II centers from 2008-2014. Patients undergoing splenectomy were divided into early (<= 6hr after admission) and late (> 6 hrs). Over 50,000 records were analyzed. So the authors recognize that late splenectomy has decreased. But they also state that early splenectomy has increased. They attribute it to increased recognition of patient requiring early splenectomy. They then call into question the need to use angiography if it hasn’t decreased the overall splenectomy rate. Problem: The early splenectomy rate increased from about 13% to 14%, reading their graph, and is probably not significant. These are the failures that occur in the trauma bay and shortly thereafter that must be taken to the OR. The late splenectomy rate decreased from 5% to 3%, which may be significant (p value not included in the abstract). These are failures during nonoperative management, and are decreasing over time. And BTW, the authors do not define what “high grade” splenic injuries they are looking at. Bottom line: This abstract illustrates why it is important to read the entire article, or in this case, listen to the full presentation at AAST. It sounds like one that’s been written to justify not having angiography available as it is currently required. 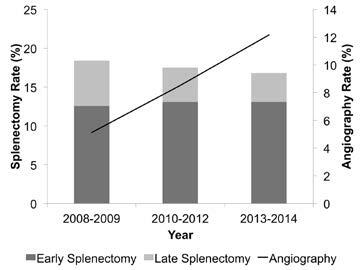 The authors showed that overall splenectomy rate was the same, but delayed splenectomy (late failure) has decreased with increasing use of angiography. But remember, this is an association, not cause and effect. Most of the early failures are still probably ones that can’t be prevented, but we’ll see if the authors can dissect out how many went to OR very early (not eligible for angio), or later in the 6 hour period (could have used angio). It looks to me like the use of angiography is having the desired effect. But undoubtedly we could use that resource more wisely. What we really need are some guidelines as to exactly when a call to the interventional radiologists is warranted. Reference: Overall splenectomy rates remain the same despite increasing usage of angiography in the management of high grade blunt splenic injury. AAST 2016, paper 35. 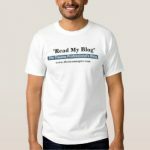 I’ve written previously on the (f)utility of giving vaccines after splenectomy for trauma (click here to read). However, it is more or less a medicolegal standard, so pretty much everyone gives them. The big question is, when? Some centers give them immediately postop, some before hospital discharge, and some during their postop visit. Who is right? The argument is that major surgery produces some degree of immunocompromise. So if the vaccines are given too early, perhaps the anitbodies will not be processed as effectively, and the response to an actual bacterial challenge might not be as good. One prospective study randomized patients to receive their pneumococcal vaccine either 1, 7, or 14 days after surgery. IgG levels were measured before vaccination and again after 4 weeks. This study found that antibody concentrations were the same in all groups. However, functional activity of the antibodies was low in the 1 and 7 day groups, and nearly normal in the 14 day group. Following this, a rat study looked at vaccination timing followed by exposure to pneumococcus. These animals were splenectomized, then given a real or sham vaccination at 1, 7, or 42 days. They then had pneumococcus injected into their peritoneal cavity. About 70% of all rats with sham vaccination died. Only 1.5% of the vaccinated rats died, and there were no differences based on vaccination timing. Bottom line: Neither antibody titer studies nor rat studies easily translate into recommendations for treating overwhelming post-splenectomy sepsis (OPSS) in humans. And such a study can never be done because of the rarity of this condition (less than 70 cases since the beginning of time). 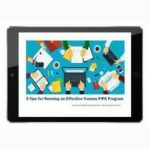 It really boils down to your specific population, balancing your assurance that your patient will get it against the possibility that their immune system may not react to it as much as it could. At our center, we give the vaccines as soon as possible postoperatively. This ensures that it is given, and erases any doubt of what might happen if the patient does not show up for their postop check. Immune responses of splenectomized trauma patietns to the 23-valent pneumococcal polysaccharide vaccine at 1 versus 7 versus 14 days after splenectomy. J Trauma 44(5):760-766, 1998. Timing of vaccination does not affect antibody response or survival after pneumococcal challenge in splenectomized rats. J Trauma 45(4):682-697, 1998. The current standard of care is to vaccinate patients after splenectomy to prevent overwhelming post-splenectomy sepsis (OPSS). The real questions are, is this reasonable and is it needed after splenorrhaphy or angioembolization, too? The spleen was recognized as contributing to infection resistance in the early 1900s. A study on post-splenectomy sepsis that has been widely quoted was published in 1952. Unfortunately, the children involved all had hematologic disorders, so it is difficult to determine if their sepsis deaths were due to splenectomy or their underlying disease. Reports of sepsis and death continued to accumulate in the latter half of the last century, but there was a tremendous amount of overlap in patient cases. Richardson reviewed the world literature to date and found that, as of about 2003, there were roughly 70 total cases worldwide since the beginning of time, with a death rate of about 30%. Basically, there are more published papers and reports on death from OPSS than there are actual cases! There is no good data at all on vaccine administration after angioembolization. Animal studies suggest that at least 50% of the spleen must be perfused by the splenic artery in order to maintain immune competence. Patients who have CT or angiographic evidence that a significant portion of the spleen is not perfused should probably undergo vaccination. Given the rarity of OPSS and the even lower probability of dying from it, a definitive study regarding the usefulness of spleen vaccine administration will never be done. So we are stuck with giving them in spleen-injured or spleen-free patients even though the usefulness can never be proven. Reference: J David Richardson. 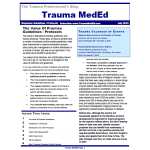 Managing Liver and Spleen Injuries. J Am Col Surg 200(5):648-669, 2005.